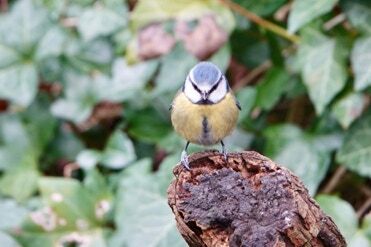 This passerine is easily recognisable by its blue and yellow plumage. They eat insects seeds caterpillars and nuts. They measure 12cm in length with a wingspan of 18cm. They weigh in at just 11g. 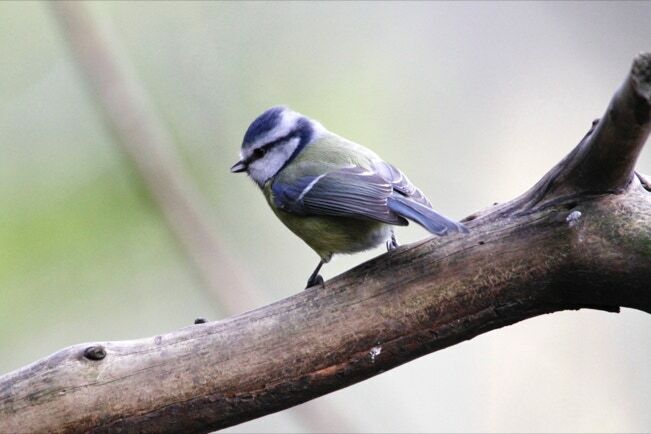 It is estimated that around 15 million birds winter in the uk. Often seen at bird feeders and tables . They are well known for pecking through foil milk bottle tops for the cream. red flacked white eggs that are incubated by the female for 14 days. They fledge at 18 days.